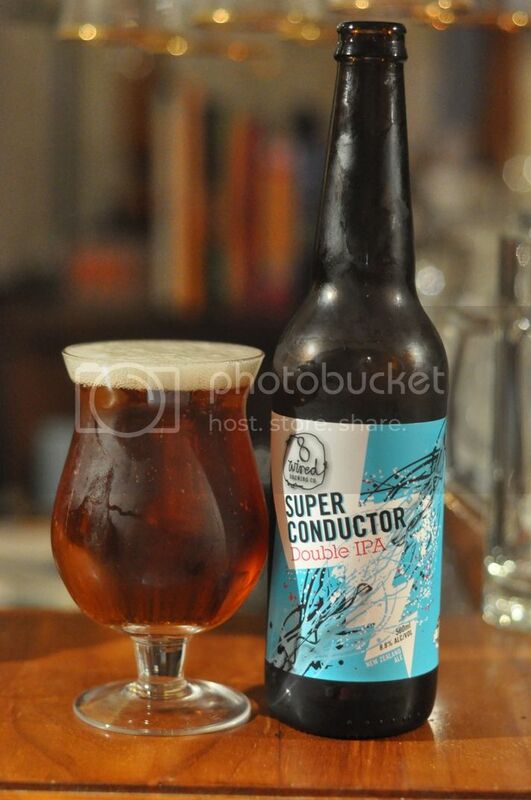 Here is the first huge hop bomb of 2014 to get reviewed on Beer O'Clock Australia! Sixpoint's beers have long been known about to me through Beer Drinkers United on Facebook and when they got brought out here in December last year I was VERY excited. The beer I was most excited about was of course the Resin. With it's distinctive lime green can, it's a beer that I always noticed whenever someone posted a photo of it. It's a big Imperial IPA and it's reputation precedes it! I can't wait to try it, I'm really looking forward to a piney IPA. Once again the lighting in the bar is letting me down and so the photo is not ideal, apologies. The beer pours a relatively clear deep orange colour with a huge head of foam on top. The head has a number of large bubbles quite quickly after pouring and it dissipates to a ring quickly. There is some lacing left behind, but not a noteworthy amount. Not a bad looking beer, but not a good looking beer either. The nose is where I always thought this beer would start to win me over, and it certainly didn't disappoint! Huge aroma's of grapefruit and (not surprisingly!) resinous pine are the most obvious coming from the hops, while there is also clearly some caramel malt towards the back. There's a touch of alcohol as the beer warms as well. Sixpoint's Resin smells like a really well balanced Imperial IPA, god I hope it tastes like that! And thankfully it does! As expected the flavour is very hop driven, with grapefruit, pine and other tropical fruits all to the fore. There is more than enough sweet malt to provide balance. The hops are extremely bitter yet at times seem almost subtle such is the malt billing. The mouthfeel is the real winner for this beer, it's got a resinous almost oily quality to it that just feels wonderful as the beer is going down. It's dangerously high in alcohol (9.1%) to be this drinkable! This beer was absolutely sensational! It had everything I wanted in an IPA! This is my canned beer of the year so far, early days I know. 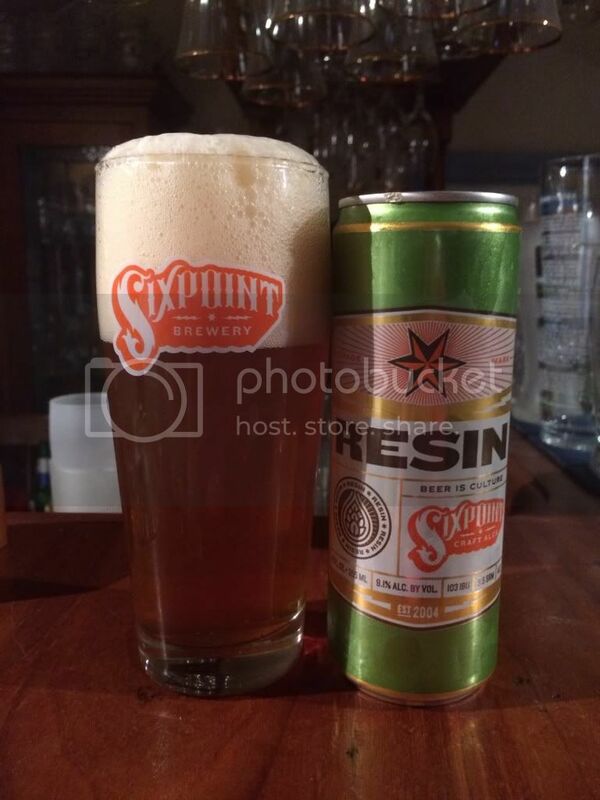 Sixpoint Resin is a brilliantly crafted IPA that is bitingly bitter at times, yet still restrained and balanced. That last sentence will only make sense if you try it! Seriously go and get some; it's amazing! If you have even a passing interest in IPA's this is a beer you must try!